If you’re like me then you receive a ton of emails every day. Emails from and for different VA clients, personal ones, updates from the billion social media and other business sites we’ve signed up for, unsolicited ones, emails from new enquiries and just all the random other ones that seem to come in all the time. I keep this account as clean as a whistle and I import everything into a main Gmail account so I can use their amazing productivity features. I also import in my Career Pioneers CV email account, my VA Handbook account and any other accounts that clients have allocated to me. I have a different signature for each account and I use Gmail’s ‘Canned Responses’ to create template emails. My Munro PA email address is the only one that comes straight into my main inbox and all the others bypass the inbox and go straight to their own folders. Once I’ve read and dealt with an email, I file it in various folders which include one called Admin which has sub folders for login details, invoices, hosting info and other stuff related to my businesses. I also have a main folder called ‘Clients’ and each client has their own folder and sub-folders. I have a Gmail address that I use solely for business newsletters and social media updates. Because I only use this address for newsletters and other bumpf, I avoid being distracted, my work inbox is preserved for client emails and I can decide when I want to read this stuff rather than having it forced upon me. Also, if a newsletter arrives in my main email hub then I know I didn’t sign up for it. I have another Gmail account that I use purely for friends, family and personal newsletters such as updates from easyjet and Amazon. I can easily flick to this account from my main Gmail hub without having to log out by granting myself user access rights in the settings. This is how I easily access my client’s Gmail accounts too. You have to be merciless with emails or they’ll completely overwhelm you. I never have more than a dozen in my inbox and they’re always things I’m currently working on. Once an email has been actioned I either delete it, archive it or put in a folder. I’m stunned when I see inboxes with hundreds of emails in them and can’t imagine how the owner can have a clue what’s going on. If you’re always immediately deleting update emails from LinkedIn groups or specific newsletters then just unsubscribe. 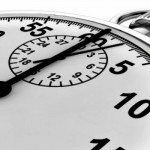 It only takes a second and then it’s done for ever. You don’t need Twitter and Facebook notifications half the time so make sure you untick those boxes in each of their settings. When you put contacts into your address book, take a second to put them in a group and write a note saying who the person is and where you met them. It may sound obvious but it’s easily forgotten, and grouping contacts means you can email everyone in one go and makes things much easier if you want to export them later. I use coloured stars to keep track of emails from a specific contact or on a certain topic. I also created coloured Gmail labels called Action (red) and Waiting On (orange) so I can see the status of an email at a glance. It’s a good system because it works! As I mentioned, I import five email accounts into my Gmail hub account. Nobody sends an email to the Gmail hub as it’s just the name of the account I use to aggregate all my different email accounts. By importing in other accounts, I never have to go into the actual webmail account unless it’s to empty any spam. Knowing how to do all this Gmail management stuff will make your life much easier and you’ll also be able to set this up for clients. If you share your screen during a Google Hangout or Skype call, you can talk a client through the process virtually. 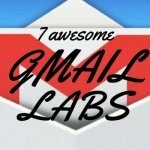 Great tips on using gmail! I have recently decided to do the same thing – use gmail as my hub for managing my client email accounts. One question: how do you import the email address that you don’t own? Gmail says that you can only import the email addresses that you own – do you just disregard that?? Thanks for you help! Hi Angela, as long as you have the account details and password, you can import any email address account. You will need to click a confirmation link that will be in an email sent to the account to be imported however so you will need to have access to it.